I am busy working on a living room design for a new client and am having so much fun sourcing everything to create a comfortable and stylish space! I would describe my style as Joanna Gaines meets West Elm. I love using white in every room but also love using natural wood tones and blues/greys are always my favorite colors. Here are a few of my inspirational photos of living spaces. I am loving this coffee table and may just end up buying this for my own house! 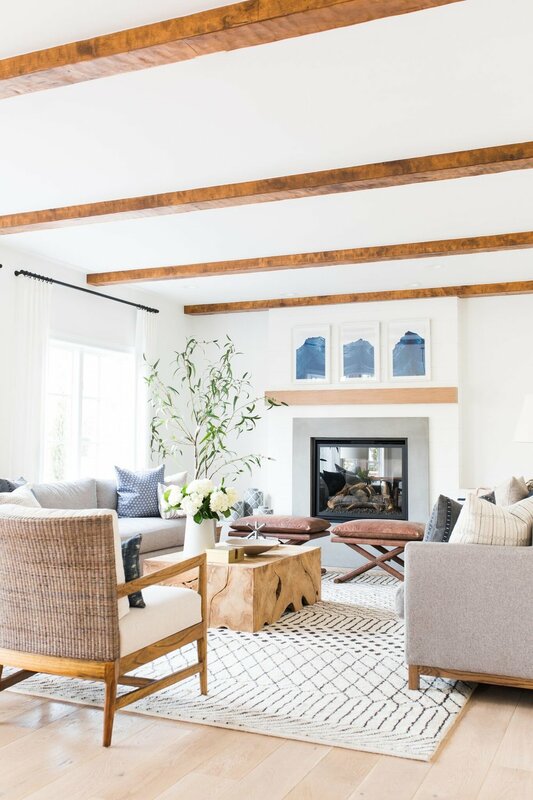 I love this space by Amber Interiors and how she mixed the grey sectional with leather chairs and wooden coffee table. 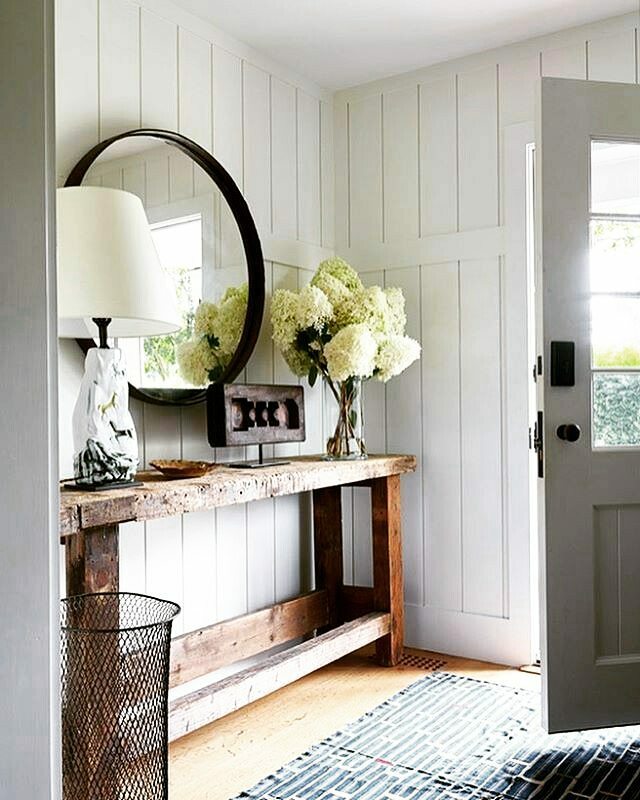 Love this console table with the black mirror and white walls. I can totally see this table used in a living room, behind a sofa or on a side wall. 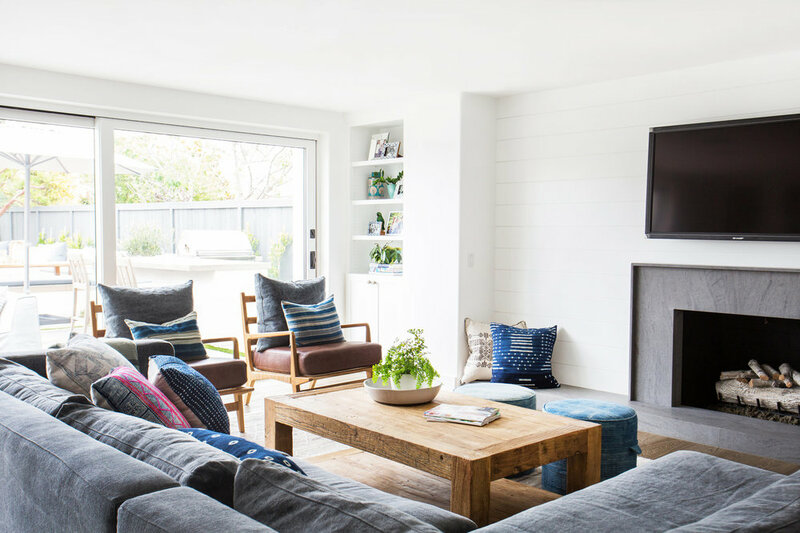 If these rooms speak to you then I'd love to help you achieve your dream living room! If you are in Northern NJ (in the Ridgewood/Wyckoff/Glen Rock area of Bergen county) or even in Montclair, Morristown, Westfield or Hoboken, I would love to set up a consultation. Please contact me here. If you are outside of my travel area, then we can work remotely via email (and Skype) with my affordable E-Design option.